How Cheeky Monkeys became an established part of the community. So, she started introducing a mix of discounts for students and OAPs, donations to local causes / worthy individuals, hosting family friendly events and fundraising for Macmillan Cancer Care. To deliver this, Cheeky Monkeys has held two Macmillan coffee mornings and Sabrina has had her long hair cut very short for charity. Cheeky Monkeys is always willing to help local people any way it can. Simple discounts give students 10% off food on Mondays and pensioners 10% off food on Wednesday lunchtimes. Needless to say Wednesdays get quite busy and Cheeky Monkeys has some regular visitors who are there as much for the chat as they are for the chips. Two Wednesday regulars, Karen and Terry, pop in most weeks and Sabrina provides free tea and coffee. 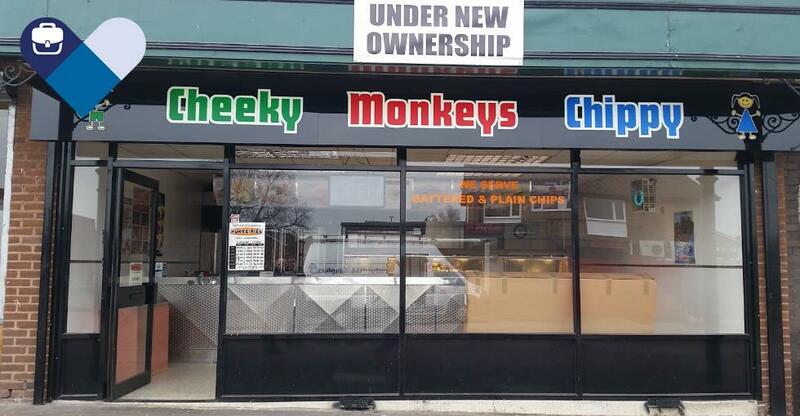 Whenever customers suggest offering more help to locals in need, Cheeky Monkeys is quick to respond. Some children suggested creating a Christmas Hamper for an elderly person or care home nearby and Cheeky Monkeys is polling its Facebook family for suggestions where the hamper should go. And the kind kids who thought of other will get their rewards as Sabrina has arranged for Santa to pop in to the chippy to enjoy cookies and give gifts this December. Has your small business got a big heart like Cheeky Monkeys? If so tell us your story by completing our short survey here and watch this space for details of the 2017 BusinessesForSale.com Small Business Big Heart Awards.